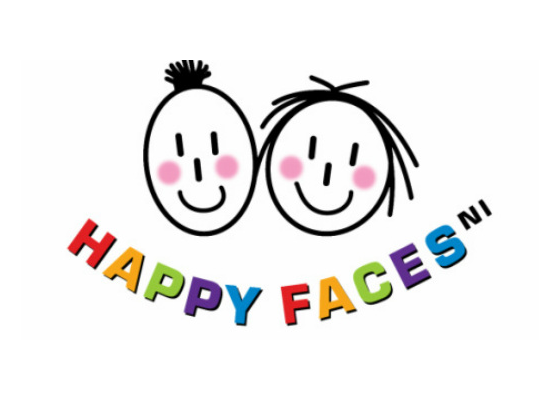 Happy Faces NI was formed in 2009 to provide a weekly inclusive club for the community; a Club that would encourage a positive attitude to difference and disability. Happy Faces NI operates out of Kilkeel Leisure Centre during term time on Fridays from 4.00pm to 6.00pm and also runs a week long summer scheme in August. The Club offers where appropriate a drop-off facility. This enables parents and carers to enjoy some respite. Some members who have more complex needs, need one-to-one support from a carer - we have a high ratio of volunteers to members each week. Happy Faces NI also caters for the siblings and friends of members and over the years our membership has continued to grow due to our community out reach work. The club offers football coaching, athletics, martial arts, inclusive games, arts and crafts, face painting, a hair and nail bar, trampoline coaching, a bouncy castle , separate mini club room and free play area. We have a state of the art Sensory Den,which is open to members and the general public. This provides a calming and relaxing space for many members. The club promotes a positive attitude towards healthy lifestyle choices through its provision of healthy snacks and other programmes. We also support our volunteers and coaches by offering regular free training and team building events. We encourage our older members with additional needs, to become ' Happy Helpers', taking a more active role in helping to run an activity with our registered volunteers or coaches. This builds confidence and self esteem and fosters more independence. We offer the 16+ club where members can chill out, have a hot chocolate, listen to musci etc. All our volunteers can accumulate credit for their volunteering at the club and gain a Nationally recognised volunteer award through Volunteer Now.